Calendar of Events | The FUN starts when you pull into the station! 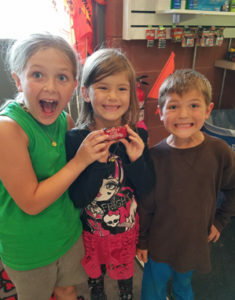 Activities EVERY weekend from Mother’s Day to Mid-September! WATER IS ON! Reduced camping rates until May 16. REDUCED CAMPING RATES!  Dust off the cobwebs and get ready for a fun-filled summer at Whistle Stop! CELEBRATING THE SERVICES! Special camping rates for Veterans with ID. Come try some K-Rations/MREs! MEMORIAL DAY WEEKEND Beach Party-DJ at the beach. Come up to the store to decorate your Noodle horse, bring to the beach party for the horse race! Little Amerricka opens for the season. BIRTHDAY WEEKEND! Let’s party! Cupcake decorating, make a present for your favorite person, birthday party games. CELEBRATE DAD! Make a gift for Dad. Kids against Dads pie-in-the-face game, loser sits in the dunk tank. SCIENCE WEEKEND! Make a Lava Lamp or some Slime! Come see the Hillbilly Silly Science Spectacular show with Cletus Beaker! PIRATES & PRINCESSES! Arrr you a pirate or a princess? Cardboard boat race. Blinky light parade. CELEBRATE AMERICA’S BIRTHDAY! Tie-dye, glow parade, best decorated site contest. DJ at the Beach. WET & WILD! Frozen T-shirt contest, water balloon toss, water fight in the parking lot. CHRISTMAS IN JULY! Break out the ugly sweaters! Make your own snow. Site decorating contest. Giant Shopping Cart Ride! WHISTLE STOP OLYMPICS! Relay race, sack race, tug-of-war, penny hunt at the beach. EASTER IN AUGUST! Make your own Easter basket, Flash light Easter egg hunt! WATER WARS! Arm yourself against the Water Wagon! Fill water balloons in preparation for the the war. HAWAIIAN LUAU! Make a lei or hula skirt, Best Hawaiian outfit, DJ at the Beach! Candy Bar Bingo, limbo, learn to hula, hula hoop contest. MARSHALL-MALLOW DAYS! Paint with marshmallows, make a mallow pop, Giant Shopping Cart Ride. LABOR DAY WEEKEND! Decorate donuts, tie-dye, water fun in the parking lot, face painting, Blinky Light Parade. CUSTOMER APPRECIATION WEEKEND! We would like to thank you for staying with us! Look for store specials this weekend. HALLOWEEN 1! Costume parade, trick-or-treating, and Magic Pumpkin Patch! HALLOWEEN 2! Had so much fun last weekend let’s do it again! Costume parade, trick-or-treating, and Magic Pumpkin Patch! Last weekend for Little Amerricka. GONE COUNTRY! Venture to downtown Marshall for Main Street Mania block party! Music, food and fun for all! Reduced camping rates! PUMPKIN TRAIN! Visit Little Amerricka and ride the train out to the Pumpkin Patch. Reduced camping rates! SAD TO SEE YOU GO! Come out for one last camping weekend. Pumpkin Train is still running. Reduced camping rates!